CMZ-Consulting Russia is a partner of Western companies to successfully help them to meet their project commitments in Russia and CIS countries. Tailored solutions to meet their goals and adapt to their specific context. Business development, sales and marketing services in Russia for Western manufacturers aiming at developing activities in Russia and neighbouring CIS countries. Local consulting in project management, quality and engineering to support on site companies having industrial projects in Russia. Sourcing services of material or equipment from Russian manufacturers. 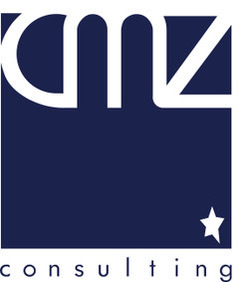 CMZ-Consulting company was founded in 2008 and is established under the Law of France (SASU) and developed its activity in 2016 in Russia under the name CMZ-Consulting Russia. CMZ-consulting is a Member of the French Chamber of Commerce in Russia (CCIFr) and of the Canada Eurasia Russia Business Association (CERBA). Russia presents significant challenges and opportunities for Western manufacturers willing to develop their footprint on the Russian Market. With its huge landmass, extensive natural resources, about 150 million consumers, and large infrastructure needs, Russia remains a major potential market for Western companies. The Aircraft, Helicopter, Space and Energy sectors offer the major opportunities. Automotive and Railway parts present also major cooperations and sales opportunities. Western firms often view the Russian market as a long-term strategic market thanks to its large population, natural resources, growing consumer class and potential access to a lower cost labor force. Russia is also a country constantly developing new technologies, having excellent competencies and large governmental supports. Russia offers many opportunities in terms of co-development, local production and procurement. However when locally developing, producing or sourcing in Russia, to maintain quality levels and on time deliveries can reveal to be quite challenging in the Russian complex environment. English is not widely spoken, even in large cities. Quality standards and Project management are different and their implementation does not necessarily meet Western customers expectations. These activities require a strong and well implemented support team. Thanks to its highly qualified engineers and its experience in the CIS countries, CMZ-Consulting Russia is an asset for customers who wish to conduct smoothly and successfully industrial projects in Russia. Russian aircraft, helicopter, space and oil and gas sector are the best prospect industrial sectors. International products are still very important for the Russian industry and despite the Russian government calls for more import substitution, cooperation with Western European suppliers is expected to continue in the medium to long term. However, Russia is a large country, with varied market segments spread across eleven time zones which can not be easily covered. Face to face business, long term relationship and proximity are important factors to Russian partners. Frequent travels and communication is required for your business growth and to manage issues that arise during a project Therefore it is.required to invest significant time, personnel and capital on the front end. A personal relationship with business partners is a critical factor in the successful negotiation of major projects, governmental procurement projects or in developing long-term business relationships. Scheduling meetings with potential Russian business partners can be challenging. The best strategy to enter the market shall be based on relying on a trusted partner, agent or sale representative. CMZ-consulting Russia based on its experience of the Russian market and concrete knowledge of the Russian industrial network can provide you with the necessary support to develop your business locally acting as a partner or local agent. Russian aviation equipment is one of the best prospect industry sector. The aircraft sector consists of more than 250 companies and employ more than 400 000 persons concentrated under the United aircraft Corporation. The Russian government continues to support the industry through a special state program investing about 40 billions Rubles in order to make Russia one of the world’s top three aircrafts manufacturers by 2025. Sukhoi Superjet already on exploitation, MS-21 with a serial production starting in 2019, and starting development of the wide-body Sino-Russian aircraft are the most well known programs open to Western companies. Leading sub-sectors are aircraft replacement parts and cabin furniture. The current CIS commercial fleet is made of about 1,200 aircrafts. The most popular types with Russian operators are the Airbus A320 family (currently more than 250 in operation within Russian carriers) and Boeing 737 (total of more than 170 aircrafts of different modifications), as well as Embraer E-170s and E-175s. Fleet remains dominated by Western airplanes. Due to this current predominance, the market for Western aircrafts replacement parts and components is quite considerable and require a logistics adapted to the country specificities. Customisation of aircraft interiors for the needs of VIP clients are using foreign supplier networks to furbish the needed materials and items. Russian Helicopters Holding is federating most of the Russian helicopter manufacturers, represents today more than 10% of the worldwide helicopter sales. In 2016, there were over 8,000 Russian helicopters operating in over 100 countries. As of 2016, Russian Helicopters enterprises produced around 22% of the global military helicopter fleet, 32% of the global combat helicopter fleet, and 42% of the medium-heavy transport helicopter fleet. Russian Helicopters enterprises have produced a record of 49% of the global ultra-heavy helicopter fleet (more than 20 tons), as well as 65% of the global medium helicopter fleet from 7 to 20 tons. By 2024, Russia plans to have about 20% of the global helicopter market. Russian helicopters are exported mainly to Latin America, Europe, Central and South Africa, and South-East Asia. Russian Helicopters Holding occupies a leading position in the fast-growing markets of India and China and is rapidly expanding its presence in South and Central America, the Middle East and Africa. The Company established services centres in Egypt and Iran, and is also working on the development of centres in other countries, including China, Peru, Brazil, South Korea and Kazakhstan. Russian coastline is about 38.5 thousand kilometres long, and while helicopters are deployed more often, the need of special equipment for offshore flights is growing. Gradual development of the offshore oil and gas fields in Russia resulted in a surge of demand for transport helicopters, which in turn convinced core operators to add foreign helicopters to their current Russian made fleet (mainly the Kа-26, Mi-2, Mi-8, Mi-8АМТ and Mi-171A). While UTair Aviation and PANH are the largest helicopters operators for the Russian oil and gas industry, a large number of smaller operators play a very important role in oil and gas missions in Russia. Gazprom Avia, ordered in 2010 ЕС135 helicopters from Airbus Helicopter with Russian made avionics and Rosneft ordered AW189 from Augusta Westland. On the other side, the dominating demand for light helicopters is attributed to the Russian helicopters fleet structure, which was formed in the previous century and overbalanced towards medium Mi-8 family helicopters. Now, most helicopters operations can be managed by light helicopters. Leonardo Helicopters AW119 and Bell 505 Jet Ranger X, which entered the Russian market in 2018, are perfectly suited. Like all industries in Russia, Helicopter industry policy is driven by the import substitution policy (импортозамещающие программы) intimated in 2014 by the Ministry of Industry and Trade . This policy consists of minimising the use of foreign components. In the context of modern economic conditions, the helicopters operators strive to get the most out of their helicopters fleets. Therefore, the demand for additional equipment capable of expanding the helicopters fleets potential is growing worldwide. Russia has been no exception. Helicopters are deployed more often and the need of special equipment for offshore flights is growing. Leading sub-sectors are Cabin furniture and specific equipment, MRO and infrastructures needs. The Russian Space industry has been strongly reshaped and public consortium are now owned by the Russian Space Corporation (Roscosmos). The sector is now moving at a higher pace with the involvement of the private sectors. Russian space sector employs more than 70,000 persons and the 10 years Federal Space Budget is reaching around 27 BUS$ not accounting for the Russian MoD budget. Globally the Russian Space companies, including private sector, invest heavily in Space infrastructure to strengthen their relative position introducing new prime contractors and integrators. The import substitution policy is strongly impacting the Russian Market and institutional market is more and more reserved to local products. However the space sector still represent huge opportunities for foreign companies in terms of sales of space and ground equipment. to develop a strong position on the Russian foreign companies shall either rely on quality and reliability of their products, specific competencies, and when more and ore often on local partnerships ensuing market access or local productions. The major European space actors in Russia have both created joint ventures with their local partners. Other opportunities can be found in development and procurement of specific technologies which are not available in Europe or for which Russia can, thanks to its lower labour hourly rate and highly qualified engineers, offer competitiveness. CMZ-Consulting is providing tailored solutions to your needs. Based on its deep experience of the RussianSpace industrial network and proximity to the main actor, CMZ-Consulting can develop your marketing activities in Russia and establish the necessary contacts at all levels required, market your products and secure your sales. Western companies having local activities require to adapt to the local culture and rules while applying their management and quality standards. Our engineers can ensure these tasks and provide a flexible and efficient interface with your Russian suppliers, or partners. Thanks to its strong knowledge of the Russian industrial network, we can identify sources for technology or products you could be willing to procure in Russia. Oil and gas production and transport including refining industry represent 2% of the market and employ about 2,000,000 people.The Russian government supports large projects and Russia plans to spend more than $120 billion in Russia’s oil production and export with 20 major oil and gas projects expected in the 2018 to 2025 time frame.Among others are NordStream2, Yamal LNG, Artic LNG including continued development of the Russian Far East production (increase by 250% in the next decades) including major Sakhalin oil and gas project and the « Power of Siberia » gas pipeline to China. All these projects represent huge opportunities for foreign companies. In addition, chemical production facilities, using natural gas, will likely be built along the new pipeline routes including methanol, ammonia and fertilizer products. These new projects will require procurement of equipment and machinery to support their production.